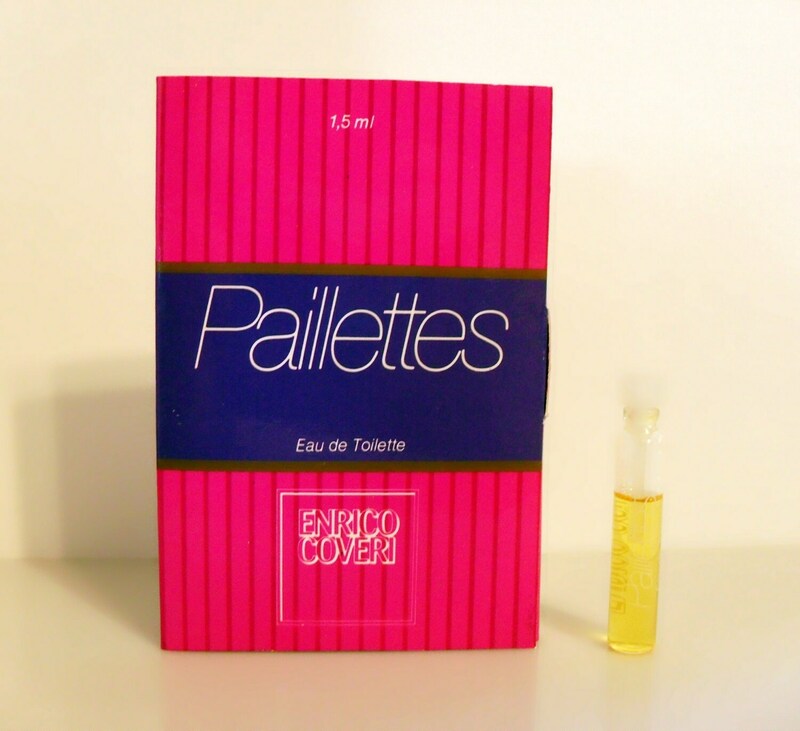 Vintage 1980s Paillettes by Enrico Coveri 0.05 oz Eau de Toilette Splash Manufacturer's Sample Vial on Card. It is classified as a fruity floral fragrance for women. The fragrance was discontinued for several years but was reformulated and relaunched in 2003 as Paillettes Classico. This listing is for the original version.